Being a North Campus student is a privilege. The services you are receiving may be free to you and your family, but they do cost money and there are a limited number of spots in the program. All North Campus students are expected to give their best to remain in the program. 1) Work to the very best of your ability every single day. 2) Always show respect for yourself and others. This poster is in every North Campus classroom. 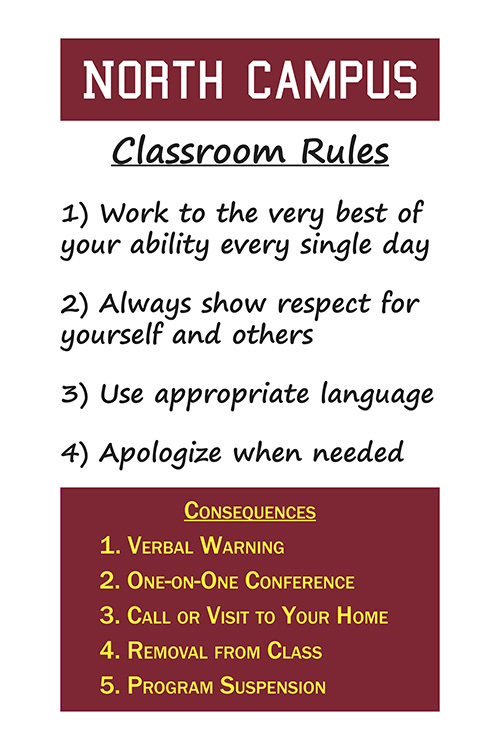 Every student knows and understands the rules and the consequences.